The SNP appear to have just copied and pasted what every SNP manifesto has been for past few years. One of ever-endums, supplemented by whatever the tunnel vision minds of fanatical nationalists can conjure up in an attempt at subverting BrExit. The latest are demands to be part of the UK's BrExit negotiation team so that Scotland can ensure that whilst the UK leaves, Scotland remains part of the EU single market, ignorant of the fact that this would mean that Scotland would leave the UK SINGLE MARKET! Which as I will explain would destroy the Scottish economy. As expected a second Scottish independence referendum is at the core of the SNP suicide note, despite the fact that in the run up to Scotland's September 2014 Independence Referendum the Scottish Nationalists from Alex Salmond and Nichola Sturgeon down promised that they would abide by the results of the referendum, declaring that it was at least a once in a generation decision if not once in a life time decision. Therefore the SNP run Scottish government instead of focusing on actually governing Scotland to improve the lives of ordinary Scots, instead will waste the next 2 years playing a game with Westminister of repeatedly making demands that the UK parliament will reject and then using the rejections as smoke and mirrors propaganda to mask the failure of the SNP to govern Scotland, whilst fixating the Scottish people towards the fantasy prospects of an IS paradise which would be just as detached from reality as the fantasy the IS of the Levant paints for its fanatical followers. Here's a reminder of why the SNP cannot be trusted who blindly only see Independence as the answer to every question, and thus remain fanatically determined to destroy the United Kingdom at every opportunity in their quest to hold ever-endums until Scotland votes to commit suicide. The most recent opinion polling puts support for Scottish Independence at just 40%! Which illustrates how moronic the SNP are to be even mentioning independence in their suicide note. One of the primary propaganda points for the SNP demanding a second Independence is so as to retain access to the Single Market. Thus the SNP are seeking protect trade with European Single Market comprising of exports totaling £12.3bn, 8% of the Scottish economy. The disruption of which the SNP proclaims would be disastrous for the Scottish Economy. Therefore the SNP is seeking to EXIT the UK and ENTER the EU single market in pursuit of protecting this £12.3 bln of trade with the EU whilst making unsubstantiated claims that the EU will welcome Scotland into the EU with open arms and thus it would not be necessary for Scotland to actually leave the EU. However these SNP hopes have not been matched by statements out of the EU whose member states fear their own Scotland's demanding their own independence referendums and thus have stated that Scotland would need to apply for membership of the EU that could take anywhere from 2 years to 10 years. However, the SNP are deliberately hiding the big elephant in the room consequence of Scotland Exiting the UK from the Scottish people, which is that Scotland would LOSE access to the UK SINGLE MARKET, one of Scottish exports worth more than £55bn to the rest of the UK, 36% of the Scottish economy, and more than four times the amount of Scottish exports to the EU. Therefore the SNP in seeking to protect £12.3bn of exports to the EU, 8% of the Scottish economy, seek to sacrifice £55bn of exports to the UK, 36% of the Scottish economy, which demonstrates that the SNP's argument for Independence is wholly based on spite, determined to disrupt the Brexit negotiations with the ultimate objective of destroying the United Kingdom at any cost to Scotland AND the rest of the UK. If this is not fundamentalist fanaticism then what is it? For the arguments put forward by the SNP based on trade and access to markets does not stand up to any close scrutiny. The SNP's propaganda is akin to Trumpism i.e. wholly based on a fake reality. Scotland losing access to the UK single market would be near FIVE TIMES as damaging to the Scottish economy then Scotland losing access to the European single market. And this is before one considers the fact that an Independent Scotland would have NO currency, which means Scotland would immediately need to to adopt the Euro without any transitional period, that is even if the euro-zone would allow such an destabilising event to take place. However, what the SNP propaganda smoke screen tends to be effective at masking in the consciousness of at least half of the Scottish people is the fact that this huge disparity in public spending amounting to currently near £2,000 per head of population is as a consequence of the English subsidy. One of English tax payers forced to subsidise Scotland to the tune of £12 billion per annum that fills most of the black hole in Scotland's finances currently amounting to an annual budget deficit of £15bn per annum, some 10% per annum, far beyond that of bankrupt Greece! Therefore one of the primary reasons why the people of England receive such a raw deal when it comes to quality of public services is as a consequence of being forced to subsidise the EU to the tune of £11bn a year and Scotland to the tune of £12bn a year, with another £15 billion going to Northern Ireland and Wales each year. So if the SNP were able to con the Scottish electorate into committing suicide then at the end of the day once the dust has settled from the resulting chaos of ripping the UK apart then England should start to reap the benefits of no longer having to subsidise Scotland in perpetuity. 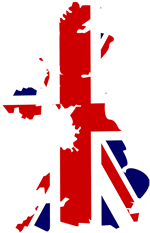 Though of course there will be a heavy cost to England of a breakup of the UK that could total as much as £120bn, especially as a bankrupt Scotland would be in no position to service its share of Britains £1.8 trillion national debt. Whilst it could take more than a decade before England starts to turn a profit from the break up of the UK. For Scotland, well the Scottish economy would have jumped over the edge of a cliff where the impact of the loss of the English subsidy would be felt near instantaneously. The Scottish economy would be in free fall and it would not be too long before Scotland passes Greece on the way down as the loss of £12bn per annum would demand deep cuts in government spending that I am sure would result in the SNP permanently losing power in Holyrood for bringing about such a catastrophe onto the Scottish people. Scotland would have NO £12 billion annual subsidy from the UK, and there is no way that the EU would pick up this annual bill, seeking to replace the UK a net £11billion contributor with an net £12 billion recipient, it will never happen in reality only in SNP fantasy. The bottom line is that yes Scottish independence would mean pain for the rest of the UK, probably taking the UK a decade to fully recover from its consequences. However, for Scotland Independence would be catastrophic as there is the real risk that Scotland may not even survive in tact from what would follow as bordering regions in severe permanent economic distress would soon start to demand their own referendums to re-join the UK. Therefore as I stated in my recent in-depth analysis the Scottish people would once more vote NO to Independence and likely in greater number than in September 2014. Thus all that the SNP are doing is manifesting their hatred of England by attempting to undermine and subvert the Brexit will of the British people DURING the EU negotiations, i.e. attempting to inflict maximum damage to the United Kingdom, behaving as though they are an EU fifth column working in the interests of the European Union rather than in the interests of the United Kingdom and the Scottish people for if an Independence Referendum were held today then they KNOW THEY WOULD LOSE BADLY! Hence the game is one of disruption and subversion. So Scottish Independence is just NOT going to happen! Because Scotland can NEVER BE INDEPEDENT, all that the SNP fanatics are seeking is a worse deal than that which Britain already has i.e. no opt outs, no rebate and part of the euro-zone, effectively to be Greece 2.0. The scottish people will see through this smoke screen and likely result in an even stronger vote to remain within the UK than in 2014. Therefore we can all turn down the sound on our TV's whenever we hear shrill SNP voices as amounting to nothing more than the insane ramblings of IS fanatics, devoid of reasoned argument and rational thought who see EVERY EVENT through the prism of breaking up the UK. Scotland will NOT vote for Independence in a Second Referendum! Furthermore I expect loss of a second referendum to be the nail in the SNP's political coffin as they see their dominance in Holyrood diminish over time at each election as the traditional parties make a comeback. Thus Theresa May is correct to recognise the game that the SNP are attempting to play by flat out rejecting holding a Scottish Independence referendum until well AFTER Brexit has been concluded. Therefore everyone needs to practice turning the volume down or channel surfing each time Nicola Sturgeon appears to screech demanding ever-endums. 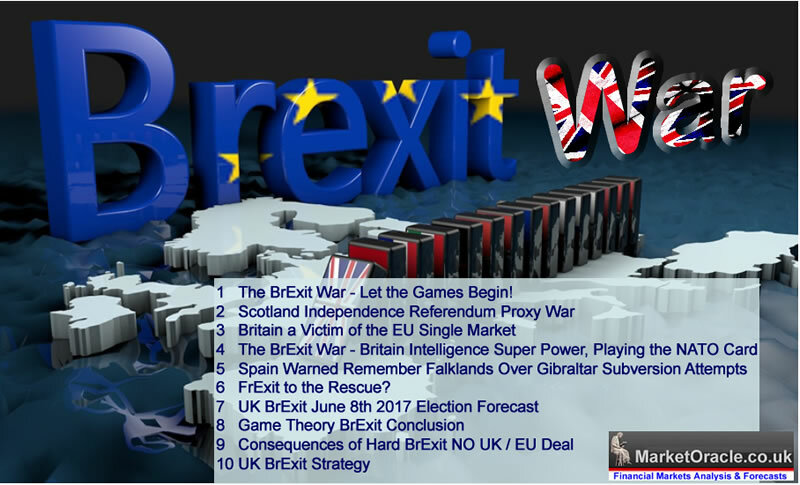 Ensure you are subscribed to my always free newsletter and youtube channel for my analysis in the BrExit War series.